Since I am always trying to stick to a budget, I am looking out for the best deals to pop up in stores. I frequent the grocery store usually two times a week, once on Sundays for my big trip, and usually on another day like Thursday for some other smaller items. I get Publix and Kroger sale fliers in my weekend paper, but you can also pick them up in the stores each week. By checking those fliers before I head to the store, I can better plan out my "menu" for the week, whether it is day-by-day or just types of food I want to have that week. Sometimes, even when things are listed in the fliers, I don't actually consider getting the product until I am face to face with them. 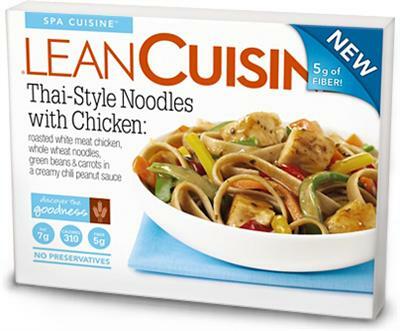 Frozen meals are a great example. I usually am not a big fan of frozen meals for my lunch. I don't find most of them as filling as they should be for my "meal," many are chock full of salt and onions to try and boost the "flavor," and honestly, they are pricey if not on sale. Also, I am a bit of a pansy when it comes to the chicken or other meat involved with them. Too many experiences with icky bits, ew. 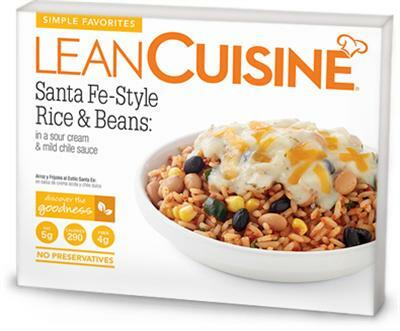 A few months ago, I polled friends on Twitter for their favorite frozen meals. People mentioned Stouffer's, paninis, vegetarian bowls, and any number of the typical LC or WW meals. They not only mentioned them, though. They told me how much they LOVED them. 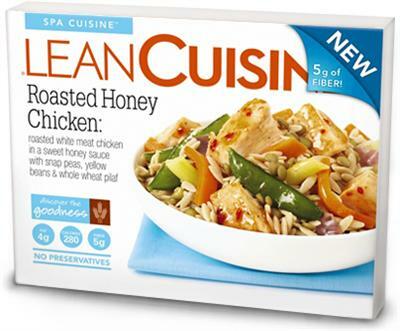 Fast forward a few months, and the Lean Cuisines were on sale last week, and for cheap. And I was feeling lazy about shopping for lunch fixings. Inspired by you people who swear by these things, I took the leap, and picked up some new flavors, including a few from the LC Spa line. The Spa line boasts lower calories, higher fiber, and nutrient-rich ingredients. And here is what I found out. Feedback: Ok, I admit, this one wasn't new for me. I was intimidated by the new ones, so I stuck to my old favorite. This one is remarkably filling due to the black beans, and it takes a while to eat, too, leaving you feel satisfied. WW has the same meal with slightly different flavoring; both are great. Feedback: This one smelled great and tasted just as good! I could have done without the yellow wax beans, but the pilaf was very filling and the sauce was fab. Feedback: This one was good! I enjoyed the sauce, and love meals with a lot of vegetables in them. My co-workers all wanted to know what smelled so good. Downside: not very filling as a stand-alone meal. I am interested in trying other new products out there, whenever they go on sale. So what are YOUR favorite frozen meals to use in a pinch? I will add them to my list! Disclosure: this post is in no way connected to Lean Cuisine -- I was just interested in taste-testing! You should try the sesame chicken one and the basil cream chicken one.... so good. and the basil cream chicken one is super filling. For those of you who haven't tried the new round 4 cheese pizza - it's delish. My new fav. And Becky - thanks for the ideas! I can't wait to try those. I am a big pizza fan, and you are right, theirs is really good!! 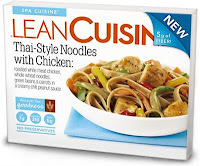 ryan swears by the kashi frozen meals - he will not eat any others any more! they're on sale at publix this week AND there were coupons in sunday's paper so you can stock up & get them for a great price this week!